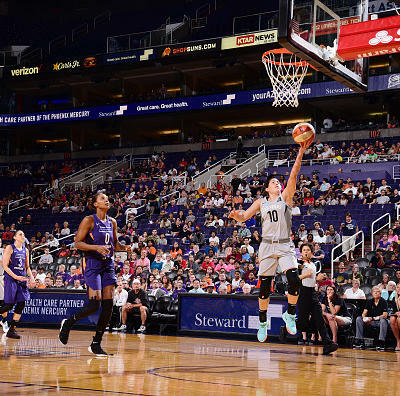 Steve Pimental provides the best DFS plays and optimal lineups for Tuesday's four-game WNBA slate. 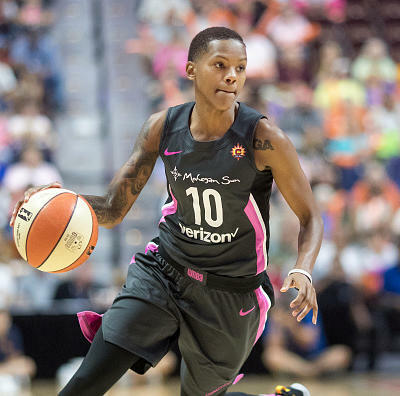 Tuesday’s DFS WNBA Playbook is bittersweet because it is the last one before the All-Star Break. After Tuesday’s games, we have an entire week off before the next playbook. That also means the players going Tuesday have a week or more to rest and recover from any injuries. That fact could be awfully significant considering the number of players who are questionable heading into Tuesday’s games. My best guess is that all of the players who are questionable will be held out Tuesday. Unless they are 100 percent, it just makes too much sense for them to miss one more game and presumably be ready to go next week. 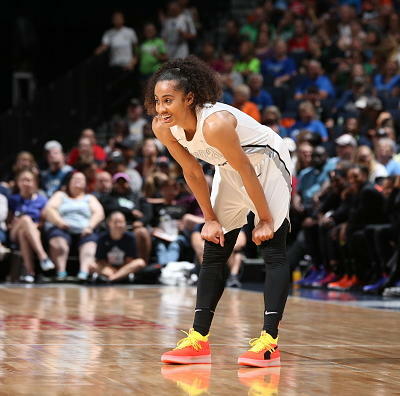 The biggest exceptions are probably Natasha Cloud, and Nneka Ogwumike. Cloud has been out with a concussion and Ogwumike with an illness. If Cloud has passed the concussion protocol, I’m not sure there is any benefit to holding her out. Similarly, if Ogwumike is over the illness that kept her out Friday and Sunday, I assume she will play. 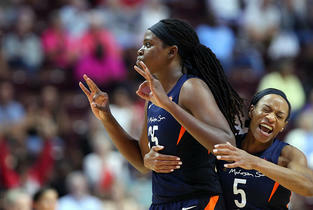 Alana Beard, Odyssey Sims and Shavonte Zellous, on the other hand, are dealing with groin, leg and ankle injuries. It has already been reported Zellous is not expected to play, and hopefully, we will get similar reports on Beard and Sims. Even if their injuries are healed enough to allow them to play, if they have even a little bit of discomfort or risk of re-injury, it is probably worth it for their teams to keep them out. The good news on the injury front is we should at least know Natasha Cloud’s status before lineups lock. Unfortunately, Los Angeles plays at 9:30 ET, and it will be awfully difficult to trust any of the players from those teams. I have no idea who LA’s fifth starter will be if Ogwumike, Sims and Beard are all out, but whoever it is will be awfully valuable. Unfortunately, you probably won’t get to play them except as a late replacement on DraftKings. 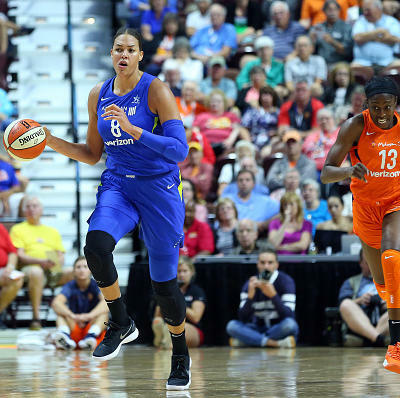 That being said, I may still play someone like Candace Parker in my FanDuel GPP lineup, since those lineups always tend towards more risk, and Parker has been fantastic with Nneka Ogwumike out. 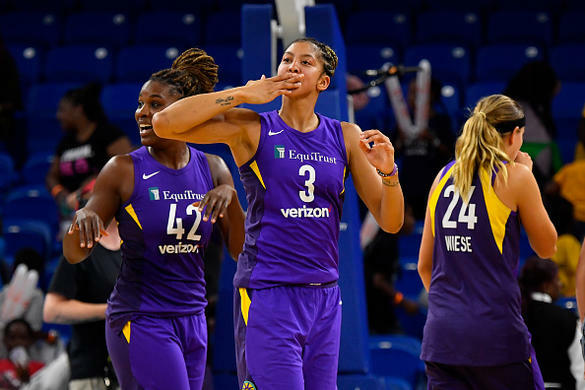 Candace Parker, F, LA $ 8,200 $ 13,700 Parker has at least 23 points, 11 rebounds and seven assists in each of her last three games, and she is only averaging 2.0 turnovers in that span. That being said, her fantasy value takes a substantial hit if Nneka Ogwumike returns. 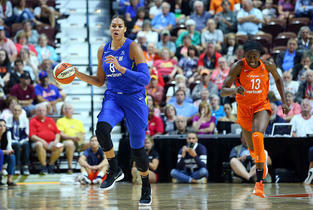 Sylvia Fowles, F, MIN $ 8,500 $ 12,700 Fowles has been much better at home this season, averaging 18.5 points, 13.2 rebounds 1.7 assists, 1.5 steals and 1.3 blocks in 12 home games. If my memory serves me correctly, she was much better at home last season as well. 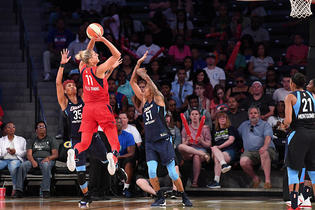 Maya Moore, F, MIN $ 8,000 $ 12,300 Moore is averaging 20.0 points, 6.5 rebounds and 3.5 assists against New York this season. 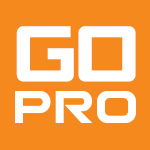 Chiney Ogwumike $ 7,400 $ 9,300 Ogwumike is a GPP play until her minutes stabilize again. 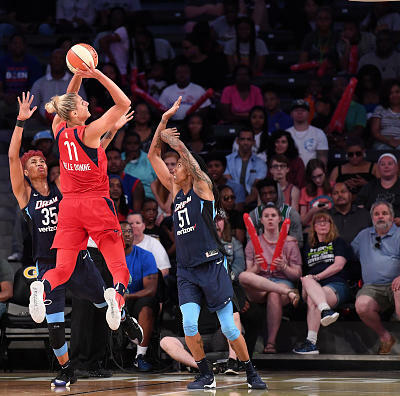 No team playing Tuesday has allowed more fantasy points to opposing forwards than the Mystics. 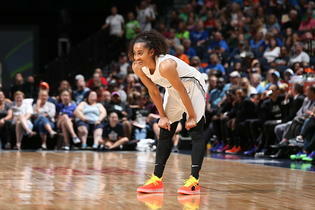 Kristi Toliver, G, WAS $ 6,100 $ 9,200 Toliver is averaging 14.0 points and 8.5 assists with Natasha Cloud out the last two games. The increased assists make her pretty safe, and she could have an awfully high ceiling if she ever starts making her threes. 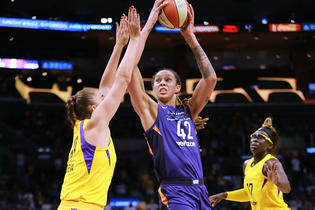 She is shooting 27.8 percent on threes over her last three games. 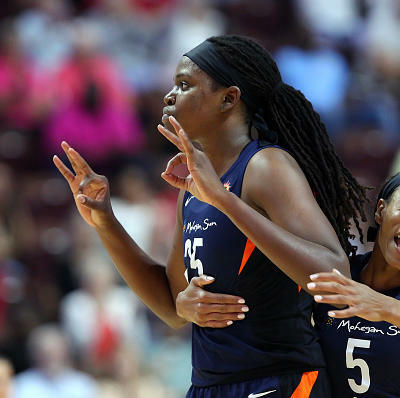 Natasha Howard, F, SEA $ 7,300 $ 8,100 Poor shooting and foul trouble have conspired to limit Natasha Howard the last two games, but she had 11 points, nine rebounds, two assists and four blocks in 24 minutes in her only game against Indiana this season. I will gladly take that kind of upside at her price. 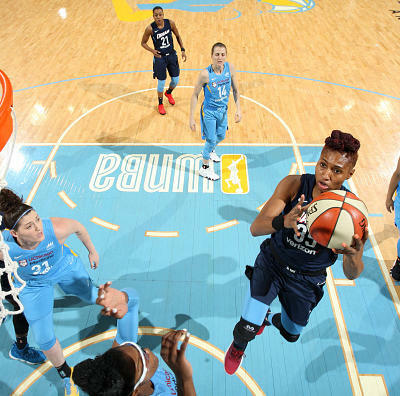 LaToya Sanders, F, WAS $ 6,000 $ 8,000 Sanders is coming off a quiet game against the Liberty, but she is still averaging 30.8 fantasy points on DraftKings over her last four games. If she can keep it going for one more game, she will be a nice value. Courtney Williams, G, CON $ 6,700 $ 7,100 Even though she has struggled in her last two home games, Courtney Williams is still averaging 15.5 ppg at home compared to just 9.7 on the road. 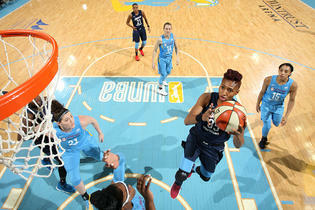 She makes me nervous for cash games, but it certainly helps that she is averaging 17.0 points, 7.0 rebounds and 2.7 assists against Washington this season. Jantel Lavender, F, LA $ 3,700 $ 6,800 Lavender is averaging 33.5 fppg on DraftKings over her last two games. 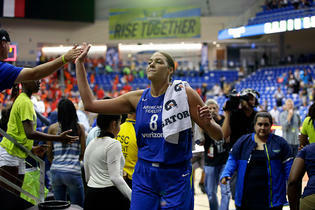 She probably can't keep that up even if Nneka Ogwumike is out again, but she is still a pretty nice value. Cappie Pondexter, G, IND $ 3,800 $ 6,700 She is going to keep making this playbook until her price goes up on FanDuel. Since joining Indiana, Cappie is averaging 20.0 fppg on FanDuel. There are 20 guards who cost more than Cappie on FanDuel Tuesday who are averaging fewer than 20 fppg this season. I prefer her for GPP lineups, but her price is small enough to make her viable in any lineup. 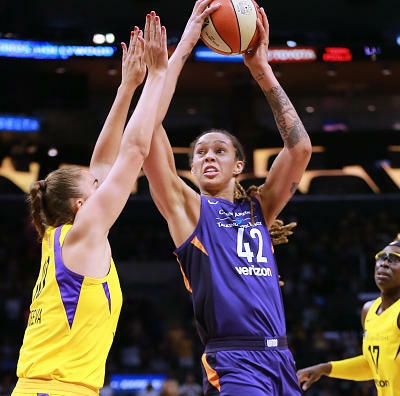 Seimone Augustus, G, MIN $ 4,600 $ 5,800 Augustus is averaging 14.0 points, 2.0 rebounds and 2.5 assists over her last two games. 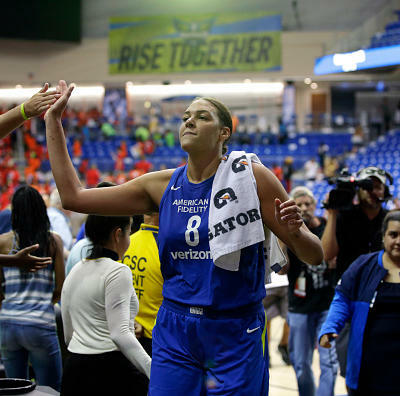 He scored 21 points in her only game against New York this season. Essence Carson, G, LA $ 4,500 $ 5,000 Carson is averaging 12.0 points and 3.8 rebounds in 31.0 minutes over her last five games. 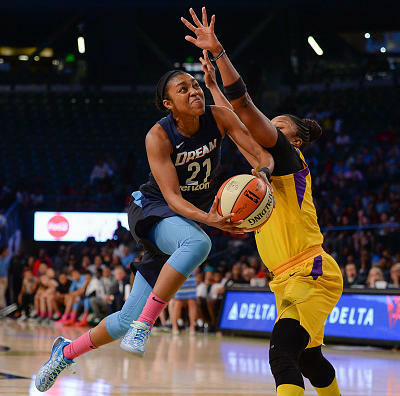 She should be pretty safe for fantasy so long as either Alana Beard or Odyssey Sims is out. Monique Currie, G, WAS $ 3,200 $ 4,400 Currie has started the last two games with Natasha Cloud out, and she played 20 minutes Saturday. She is averaging 15.5 fppg on FanDuel over her last three, and she has pretty decent upside if she gets hot. Tierra Ruffin-Pratt, G, WAS $ 3,700 $ 3,800 TRP has been better than Monique Currie the last two games despite coming off the bench. She is probably safer than Currie, but I think Currie has a higher ceiling. 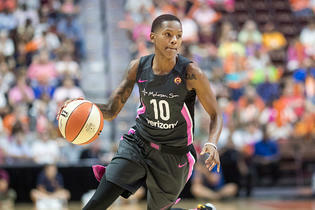 Riquna Williams, G, LA $ 3,200 $ 3,700 Williams is always a GPP consideration, but she is a must-play for GPPs if she starts.